I was pleasantly surprised to find dozens of black history month movies which celebrate, highlight, and explore stories surrounding Black History that are well known and black history documentaries you may have never heard of. Roots – Chronicles several generations in the lives of a slave family. Begins with a West African youth captured by slave raiders and shipped to America in the 1700s. The family’s saga is depicted up until the Civil War where Kunte Kinte’s grandson gained emancipation. Race to Freedom: The Underground Railroad – The story of heroic fugitives, bold conductors, and a candle in the window. Selma – A chronicle of Dr. Martin Luther King, Jr.’s campaign to secure equal voting rights via an epic march from Selma to Montgomery, Alabama, in 1965. 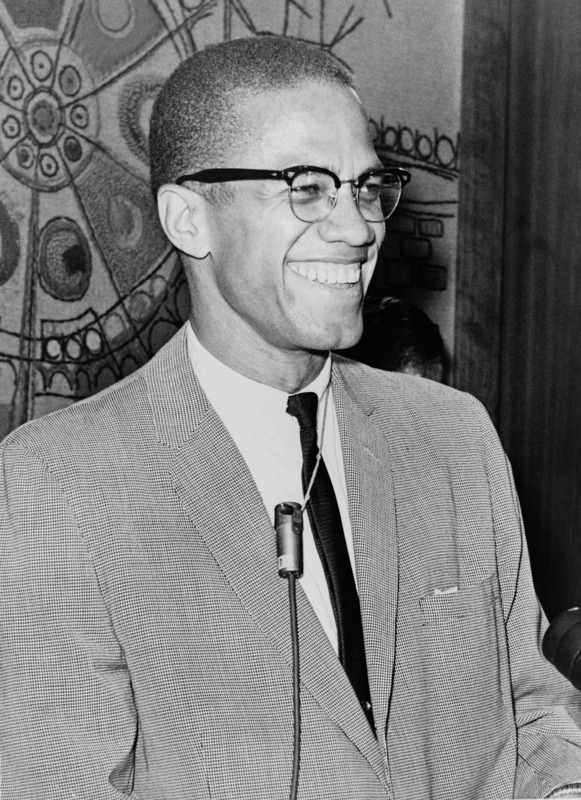 Malcolm X – It follows the life and times of Malcolm Little through his transformation to Malcolm X and his departure from the Nation of Islam. Hidden Figures – The phenomenal true story of the black female mathematicians at NASA whose calculations helped fuel some of America’s greatest achievements in space. The Tuskegee Airmen – Four newly recruited pilots are united by a desire to serve their country, at a time when black flyers are not welcomed in the Air Force. Birth of a Nation – Set against the antebellum South, it follows Nat Turner, a literate slave and preacher, whose financially strained owner, Samuel Turner, accepts an offer to use Nat’s preaching to subdue slaves. Marshall – Based on a true story, MARSHALL follows future Supreme Court Justice, Thurgood Marshall, as he defends a black man from sexual assault charges against his white employer. The Life of George Washington Carver Man of Science – A slave-born man who helped shape the 20th century America with his passion for God’s creation. W.E.B. DuBois: A Biography in Four Voices – Born three years after the end of the Civil War, Du Bois witnessed the imposition of Jim Crow, its defeat by the Civil Rights Movement and the triumph of African independence struggles. Du Bois was the consummate scholar-activist whose path-breaking works remain among the most significant and articulate ever produced on the subject of race. Against the Odds: The Artists of the Harlem Renaissance – Explore the lives of visual artists who made the Harlem Renaissance one of the 20th century’s richest artistic moments. African Americans in WWII – Details the contributions of African American Soldiers, Sailors, Marines and Airmen in World War II. Includes great interviews with African American veterans, who recount their WWII experiences and what it was like to serve in a segregated armed forces. 42 – In 1946, Branch Rickey signed Jackie Robinson to the Brooklyn Dodgers, breaking MLB’s infamous color line and forever changing history. MLK -A rare TV interview with Martin Luther King Jr., is the centerpiece of this tribute. Exclusive interviews with Jesse Jackson and Colin Powell provide fresh insight into the life and personality of the inspirational civil rights leader. The Rosa Parks Story – Many people believe Rosa Parks’ simple refusal to move to the back of a Montgomery, Alabama bus was her contribution to the Civil Rights Movement, but this engrossing look at her life tells the whole story. Loving – Based on the landmark Supreme Court case, an interracial couple fights the law that they cannot be recognized as married in the state of Virginia. Obama – The race to decide the Democratic candidate for the 2008 elections was, by anyone’s standards, a stirring moment in history. The Civil War – Explores the war’s military, social, and political facets through some 16,000 contemporary photographs and paintings, and excerpts from the letters and journals of persons famous and obscure. Fannie Lou Hamer: Voting Rights Activist & Civil Rights Leader – Fannie Lou Hamer was the granddaughter of a slave and the youngest of 20 children. she will be remembered for winning the right to vote for black Americans and exposing America’s poverty by giving a voice to those in need. The Untold Story of Emmett Louis Till – Explores the murder of an innocent African-American teenager. Emmett’s brutal murder – and his family’s brave actions in the horrifying aftermath – served as a major impetus for America’s civil rights movement and led to Rosa Parks and Dr. Martin Luther King Jr. to make decisions that changed the course of history. Once Upon a Time …When We Were Colored – It’s 1946 in Mississippi, and young Cliff, living under the care of great-grandfather Poppa and great-grandmother Ma Pearl, is starting to notice the world around him. But it isn’t a pretty one for blacks in the South, and over the span of 16 years, Cliff gets introduced to segregation and sadness. But hope finally arises when his close-knit community bands together to fight for civil rights in a nonviolent way. What did you think of this list of movies for Black history month?